The Midnight Review: Bristol Palin And Levi Johnston Engaged! Family Photo Brings Into Question Paternity. 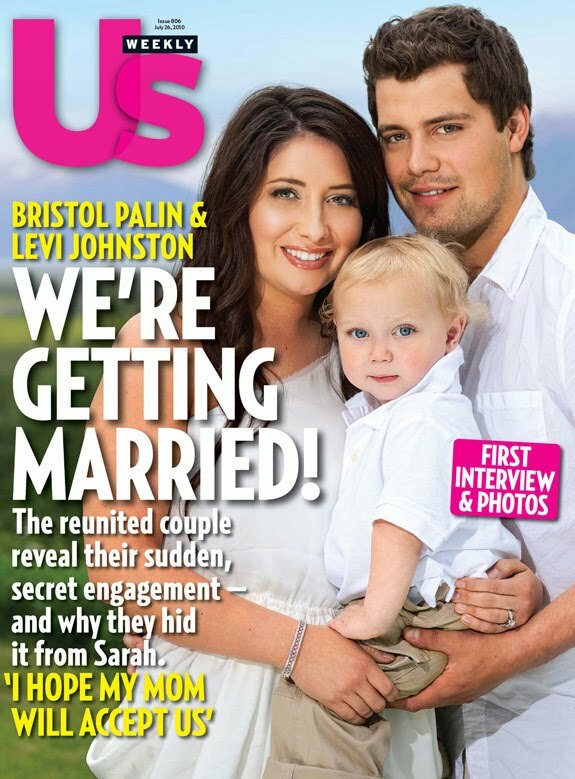 Bristol Palin And Levi Johnston Engaged! Family Photo Brings Into Question Paternity. 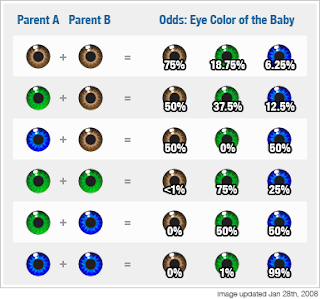 I just had one question: "Which parent has blond hair and blue eyes?" 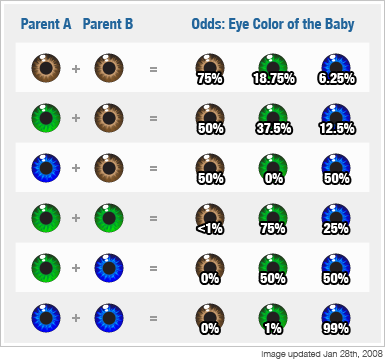 While newborn's often have blue eyes that darken with time, usually settling on a permanent color by age three, Tripp only has a 6.25% chance of having blue eyes if both parents have brown. Tripp is approaching three years of age. As the saying goes, "mother's baby, father's maybe". Update - I had made a similar comment on The Huffington Post and had received some interesting comments in response. One comment from a person called Sunshine1970 put an interesting thought into my head. Tripp looks exactly like Levi when he was a toddler. I think I saw photos on palingates or IM. Do more research please before making acusations! Sonny and Cher both were dark skinned people with brown eyes too. Their offspring has blue eyes and blond hair. Todd has very blue eyes, doesn't he? And if you've done any punnet squares, you'll remember that one of those squares is a "recessive, recessive," which means it's definitely possible. But the "bigger" question about "needing" to announce that 2 week away wedding--no question. the pictures from her Candies's deal w/ Dr. Drew several weeks ago had us all certain she was prego again...this just confirms it in my mind. I remember seeing comments about some thinking she was pregnant. I just thought the picture looked funny - the baby looks so completely different, but it is completely possible. I thought it would be fun to post this article to see what people think. Seeing that the wedding is so close, it does make this publicity-seeking couple's marriage seem a bit more questionable.